Have you heard of Minted yet? It seems everyone has these days. I've probably entered every Minted giveaway I've come across with hopes of winning a gift card so I could pick and choose some of their beautiful products for myself. And here I am, talking about them to you. Minted has offered me an opportunity to let YOU shop in their beautiful products. I think so. That's why I said yes! But hang on. Let me fill you in on what's hot over at Minted right now. 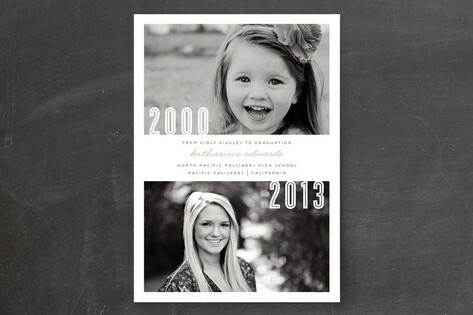 The school year is coming to a close, and Minted's Graduation Announcements are sleek and elegant. Some are simple, some more flashy, but they have styles that work for everyone. Minted also has something really cool over on their website. They've got inspiration boards. Inspiration boards are a place where you can create your own little area of joy. Images of artwork, love notes to yourself and your family members, framed, not framed, color coordinated or not. It doesn't matter. It's a place all of your own that you can create and share via the Minted site. Minted has offered me a $50 code for one of my readers so you can do some shopping, too! * Head on over to Minted and let me know which department you'd love to spend your winnings in! * Tweet about this giveaway. cc me @goodgirlgonered and share a link to this page. 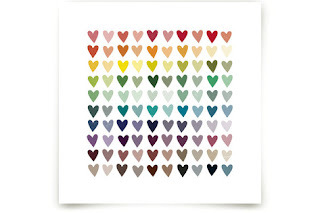 Feel free to toss in @minted in the tweet, as well, if you're so inclined! Comment below with the URL to your tweet so I know you did it. * Make up an entry. Seriously. Share on Facebook. Pin this giveaway. Have a friend come by and tell me you sent them. Or come up with something even more creative. You might even get bonus points! Thanks for reading to the end here *I know it's a long one! * and I hope you'll enter. I want to say I hope you win, but I hope all of you enter so one of you can win, because I only have one code to give away. p.s. Winner will be chosen via Random.org one week from today. And the handle is @TheDoseTweets. Okay. I think I hit all of the optional entries! Love the heart print but, since my son is having a birthday and just learned the alphabet, I'd love to give him the alphabet print. I have been exploring their shop! What cool things they have! I would spend it in the General Store. I love the cake stands! I'd be shopping for business cards! I love their stuff so much! I love some of their Art Prints, but I also like the Party Decor. But if I have to choose right now, I'll go with the prints! Do I have to choose just one area to use the $50?? I love holiday cards, thank you notes and the art prints! I also tweeted and have no idea how to provide the url, so hopefully this works! I've gotten our Christmas cards from Minted for several years in a row, but I also love love LOVe their calendars!! I really need to do an adoption announcement, so since they don't have one of those I'd probably tweak a birth announcement. Seriously? You want me to pick one? I can't. I'd probably get stuff from a bunch of departments and end up spending way more. But, perfection! I tweeted!!!!!!!! :) I can't figure out how to view it cause my computer is dumb but I tagged you! I would get thank you notes! I'm loving their art prints! My fave is the abstract triangles in turquoise! Following you on facebook and shared giveaway! OK, so I REALLY need some new business cards! That's totes where I'd spend my dough. GIVEAWAY IS NOW CLOSED! WE HAVE A WINNER!